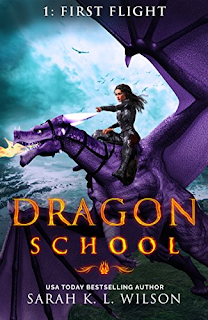 Sixteen-year-old Amel arrived at Dragon School just like everyone else - with a dream to ride dragons and join the Dominion Dragon Riders. But Amel has a crippled leg and Dragon School training is grueling. Before she can even become an initiate, she must complete her First Flight on a dragon. Can Amel survive First Flight and become a Dragon School initiate or will her dreams dash on the rocks below?